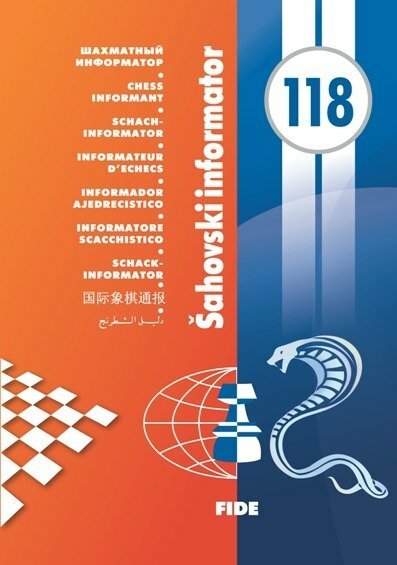 Chess Informant 118 – Cobra Edition Paperback, 336 pages, November 2013. Only shortly after the end of the dramatic fourth game of the World Championship match between Vishy Anand and Magnus Carlsen, Garry Kasparov tweets from the battlefield in Chennai: " Game 4 also demonstrated exactly what I wrote for my last Chess Informant column: The Berlin is a sharp & rich middlegame, not an ending." What better recommendation could there be for Chess Informant 118, than this comment from the world’s best chess player ever? Hot stuff! It’s not easy to receive honest feedback from the pros, especially when you spend most of your time locked up in the office, working on the production of the next issue, instead of visiting tournaments and having the opportunity to speak to the players in the heat of the battle. Therefore, one has to rely on indirect methods of polling. There is chess life beyond Anand-Carlsen, if you haven’t noticed; the European Team Championships are underway in Warsaw, Poland, as these lines are written. Deep into the night, players are immersed in preparation for their next game and urgent emails arrive to my inbox: “Could you please send me CI Labs 118? I need it badly, now!”. Requests are coming from all directions - on one occasion, from players of two teams playing each other – and are immediately honored; fair play! What further proof do you need that Chess Informant is back into relevance? It was amazing to realize that most of the players at the European Team Championship, the top players in their respective countries, are among our regular or occasional contributors. Even more, it is rejoicing that I get to answer more and more inquiries from players who are willing to participate in our beloved project! The Ukrainian grandmaster Alexander Moiseenko was crowned European Champion earlier this year and has been a contributor of Chess Informant for some time already (and please note that Women’s European Champion Hoang Thanh Trang has contributed in 118 as well!). His latest offering, the column “My Way” in 118, was conceived as a reaction to that of Sarunas Sulskis in 117 about that very same event that Alexander won. In fact, the Champion had only high praise for Sulskis’ “Interception” of the tournament report, but also wanted to add his own view and annotations to the already exceptional story. Sarunas’ work was recently praised by Sergei Movsesian as well, and I can’t agree more: our author is not only a remarkable grandmaster and trainer (of the Scottish national team, among others) highly regarded by his colleagues, but his deep analytical skills are perfectly complemented by his exceptional narrative talent. His column, “Interception”, is one of the true gems of Chess Informant. In 118 he puts the World Cup, a very complex event in Norway and eventually won by Kramnik, under the microscope. One of the participants there, our regular contributor Rafael Leitao, has prepared an opening report on the event as well. Our authors have full creative control over their columns and content; this sometimes leads to interesting situations. One such moment occurred in the production of 118, when the same game appeared in two different articles, those of Sulskis and Marin. It was possible to merge the two viewpoints, or simply eliminate the game from one of the columns, but we decided not to: these columns serve different aims and it should certainly be interesting for the reader to approach this game from two different sides. After all, it wasn’t just any game: it was the only decisive game of the World Cup Final, between Kramnik and Andreikin. In 118 we also welcome two new columnists, Suat Atalik and Emanuel Berg. Both their articles are long and full of annotated games; this is a sign of the times, as the articles submitted by our authors become bigger and bigger. Despite the best efforts of our editors to adapt the articles to the optimal number of pages for the book, it often proves impossible to cut interesting material; this is why, comparing to 117, the new Chess Informant is approximately sixty pages longer! This issue is becoming a serious problem for us: Grandmasters have a lot to say and want to spread the word, but we must try to prevent them from giving away their knowledge all at once – this is a periodical publication after all! Still, it is possible to find additional material in the CD version, which is the product of some renovation: the old CI Expert software has been discarded, and for the first time all material appears on the CD in PGN, CBH and CA files. This allows the material to be viewed with any software, on any device. In the meantime, developers are working on a new and modern version of CI Expert, which should be available in the near future. I am pretty sure that you are wondering why 118 is dubbed the “Cobra” edition. Well, inspiration is something that doesn’t obey to schedules and planning, it shows up out of the blue. Allow me to just say that it’s not really about the poisonous snake, but rather connected to the “SpeedMaster” nickname of Informant 115… We hope you will enjoy this great book, arguably the best Informant in the modern era! GARRY’S CHOICE – By GM Garry Kasparov, 13th WORLD CHAMPION Garry annotates the Caruana-Adams encounter from Dortmund 2013, which gives rise to the magnificent story of the Berlin Wall (the chess wall!). Five reference games included. OLD WINE IN NEW BOTTLES – By GM Mihail Marin Mihail elaborates on the theme of the “Positional queen sacrifice and the strong passed pawn”, through six illustrative games, starting with the freshest, Kramnik-Andreekin from WCC Tromso 2013. STAND UP AND FIGHT – By GM Adrian Mikhalchishin A famous trainer’s personal diaries about Schlechter/Fisher/Sozin variation of Sicilian Defense. So many lines, references and explanations packed in two games. MY WAY – By GM Alexander Moiseenko, European Champion 2013 As feedback to the article by Sarunas Sulskis from Informant 117, Alexander, the newly crowned European Champion, discusses three of the wins that contributed to his ascent on the throne. 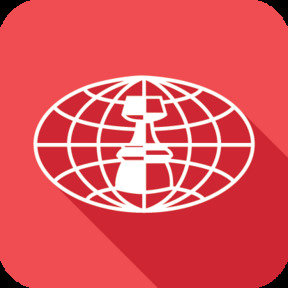 INTERCEPTION – By GM Sarunas Sulskis Round by round, the 2013 World Cup in Tromso comes under Sarunas’ microscope, with 12 selected games. Magnificent story, deep annotations. BOSSA NOVA - By GM Rafael Leitao As a participant of the World Cup 2013, Rafael sheds light on the most interesting theoretical novelties from the event, with his own analytical observations. HAVE NO FEAR – By GM Alexander Ipatov He is one of the most talented young GMs in the world, World Junior Champion 2012 and World Junior Vice-Champion 2013. Recently, Alex conquered South Africa and this is the story about the Cape Town tournament, with five annotated games. INSPIRING MOMENTS – By IM John Bartholomew and GM Wesley So Super-GM Wesley So played a tournament and gave a simul in Minessota. John interviewed Wesley, and they mutually present some games and interesting positions from this “hidden gem” event. EN ROUTE – By GM Emanuel Berg Berg’s successful summer tour includes GM tournament in Gothenburg, Portugal league and rapid event in Lidkoping. Diary-style story with 10 annotated games. UNCENSORED – By Suat Atalik Suat is often sharp and controversial in his comments, but not this time - it was a ladies’ event! He is presenting the European Individual Women’s Championship, played in Belgrade, through 16 selected games. WORD OF A CHAMPION – By Hoang Thanh Trang, European Champion 2013 She is the newly crowned champion of the Old Continent. The now-Hungarian, Vietnamese-born GM Thanh annotates one special game from the EICC for Informant’s readers. Add-on: deep rook ending analyses with references by GM Suat Atalik. CI LABS SPECIAL – GRAND-PRIX TOURNAMENTS OPENING REPORT BY GM Ivan Ivanisevic and GM Milos Perunovic A33 English Opening, A40 Queen’s Pawn Game, B19 Caro-Kann, C45 Scotch, B80 Sicilian Najdorf, English Attack, C63 Ruy Lopez Schliemann, D20 Queen’s Gambit Accepted, D39 Semi-Tarrasch, D88 Queen’s Gambit Ragozin, D90 Gruenfeld Defense, E34 Nimzo-Indian Defense and E94 King’s Indian Defense.